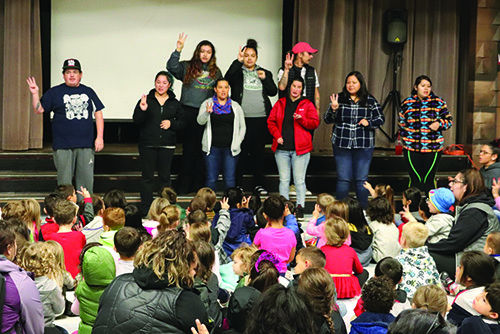 On the morning of October 12, the Betty J. Taylor Early Learning Academy (TELA) gymnasium was occupied by tiny future leaders who sat crisscross apple sauce while listening to the Killer Whale story told by a team of nine Lushootseed Language Teachers. In addition to stories, the teachers also performed a number of traditional songs, receiving plenty of crowd interaction as the youngsters knew many of the words and happily sang along in Lushootseed. 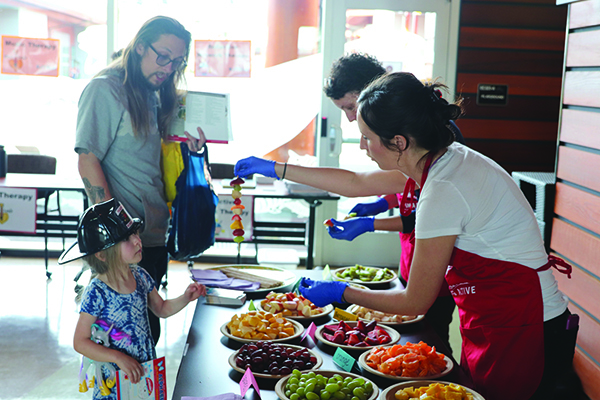 This joyful gathering was just the first of many upcoming Cultural Days where the students attend an assembly in the morning and create crafts in the afternoon, all while learning about the traditional lifeways of the Tulalip people. 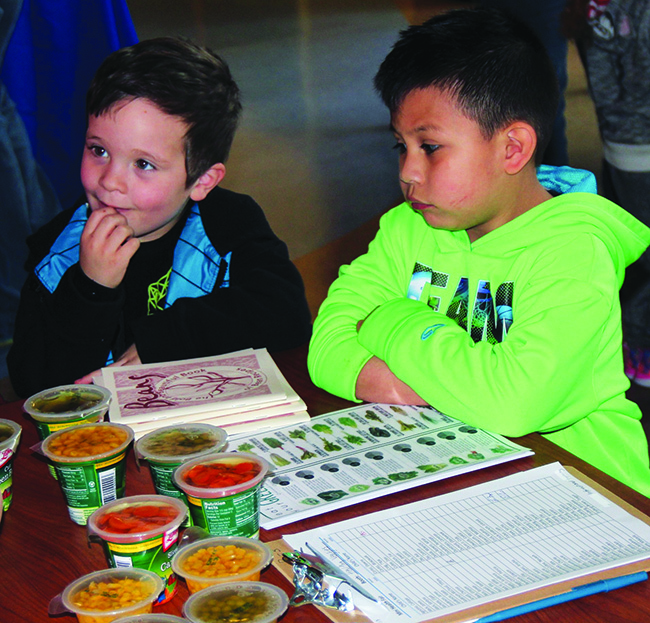 This year TELA has implemented a language immersion curriculum, partnering with the Lushootseed language department to teach the revitalized Coast Salish vocabulary to the kids. 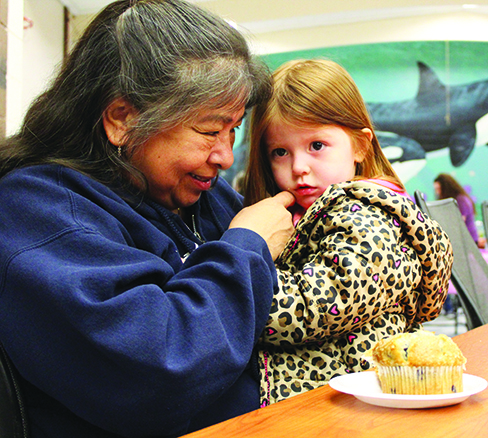 Every day the language warriors pay a visit to the classrooms, sometimes leading the class by sharing stories and songs in Lushootseed, other times simply interacting with the kids and speaking the language to them individually during playtime or lessons. Studies have shown that kids soak up the most knowledge during early childhood development, making the expression ‘a child’s brain is like a sponge’ seemingly true. Families of other cultures have proven that kids can learn to fluently speak two languages at a young age, speaking their native tongue at home and English while at school or with friends. More importantly, TELA is proving that right now with the language immersion approach, ensuring Lushootseed lives well into the future. Cultural Day takes the traditional teachings and the language immersion idea to a new level. Each assembly features local guest speakers who offer their stories and teachings to the students. The half hour assembly is followed by cultural crafts. Once the kids return to their classrooms, they participate in a hands-on traditional art project. Many TELA teachers use craft time as an opportunity to expand their lesson plan and teach the kids the cultural significance the craft has to Native communities. 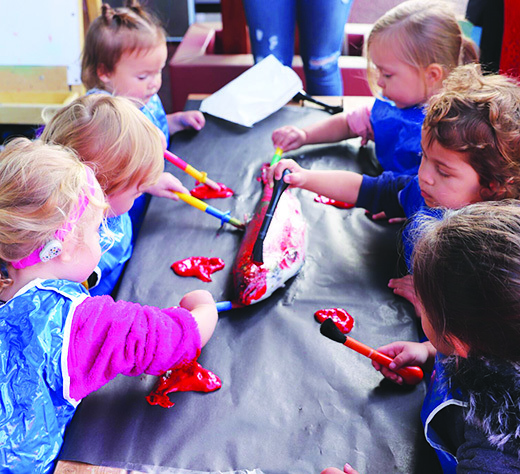 For instance, as her students covered their fish in red paint, TELA teacher Alix McKiernan asked them a few questions about salmon, like where do salmon live and if they liked to eat salmon. 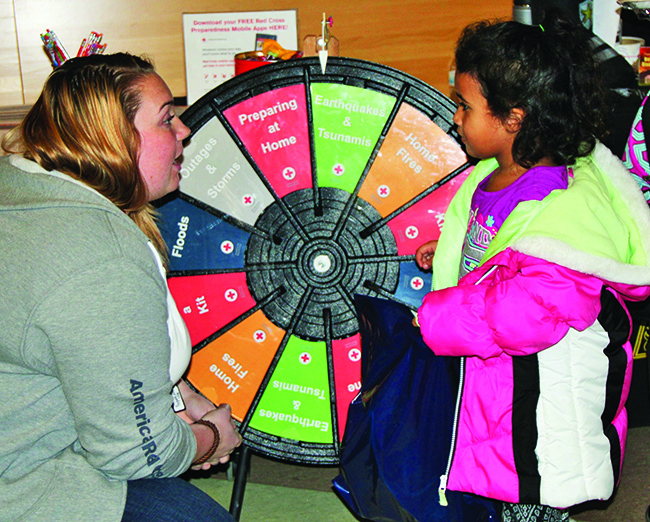 After the kids responded, Alix added a number of ‘did-ya-know?’ facts about the relationship between salmon and Northwest tribes and also asked the students if they’ve ever caught a salmon or went fishing with their families. 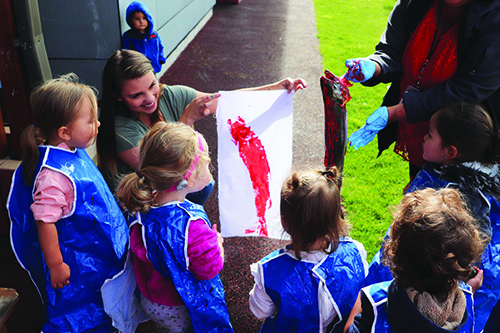 After their prints were finished, Alix’s classroom was treated to more interactive education as she cut open the salmon so the kids could get an up close look at the anatomy of the fish. 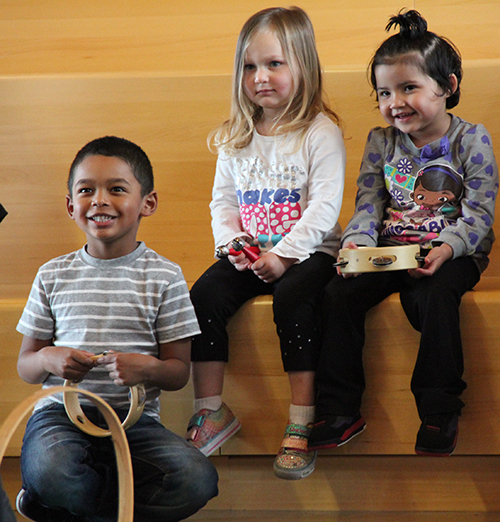 TELA’s next Cultural Day will be held on November 13, and families are welcome to join and watch Tulalip’s future generation learn their ancestral teachings to strengthen the culture for years to come. “It warms my heart to hear the children sing and speak the language and to see them so excited to learn about our culture,” Tami expresses. 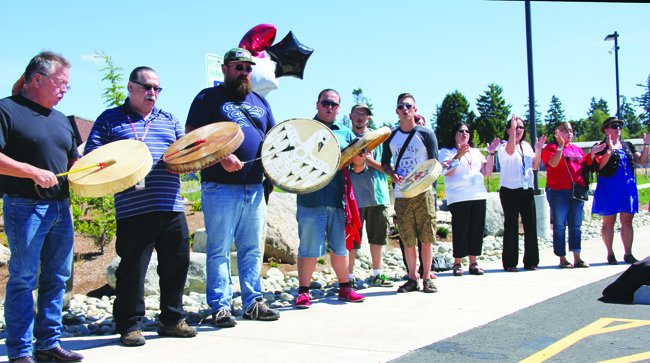 “[At future Cultural Days,] the boys will be making drums with their families and the girls will be making clappers. Those will follow them until they graduate and then they get to take them home and use them to practice and perform. 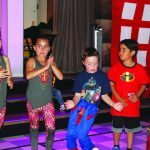 The kids love the songs and the language, even when we welcome them into the school every morning we hear ηαʔɬ δαδατυ ανδ ηαʔɬ σψəψαʔψαʔ in the afternoon. We love hearing the language. For more information about Cultural Day, please contact the Betty J. Taylor Academy at (360) 716-4250. 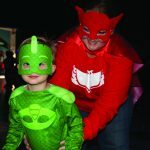 Many superhero stories begin in fictional cities such as Gotham or Metropolis, this one however, takes place on the reservation of Tulalip at the Betty J. Taylor Early Learning Academy gym. 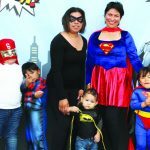 On the evening of May 18, a team of young students, incognito as their alter egos, assembled, not to fight injustice or villainous bad guys, but just to have a good time at the annual Superhero Dance planned by the Academy’s Parent Committee. 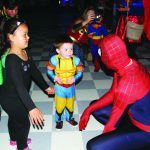 Dressed as their favorite characters including Wonder Woman, Batman, Supergirl and Spiderman, the kids took to the dancefloor to showcase their special moves and superpowers. “The Parent Committee deserves a lot of credit. The dance and the theme was their idea. They decorated and they fund-raise to put this on every year,” says Katrina Lane, the Academy’s Family and Community Engagement Coordinator. The inside of the gym was decorated with illustrations from the classic comic book era, complete with a metropolis-esque city skyline. 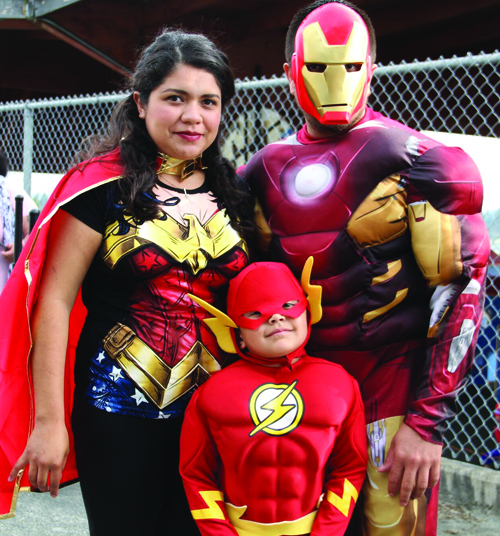 After the first successful Superhero Dance last year, the Committee decided to continue with the theme this year. 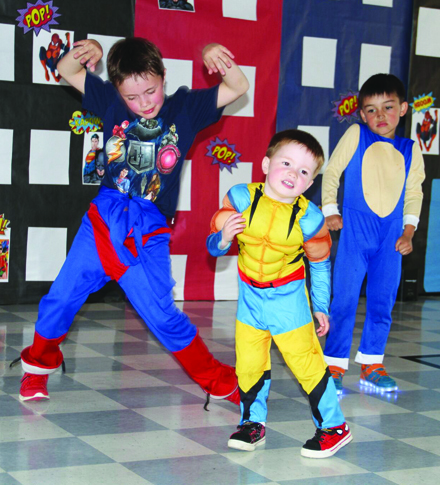 The inspiration for the dance originated from an annual dance held by the Marysville School District. 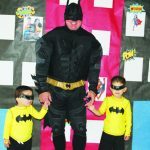 The kids were surprised when the superhero characters arrived, so much so they put their boogie on hold to greet Spidey and the Bat with hugs, high-fives and multiple questions. The characters stayed for the remainder of the event, dancing alongside the kids. 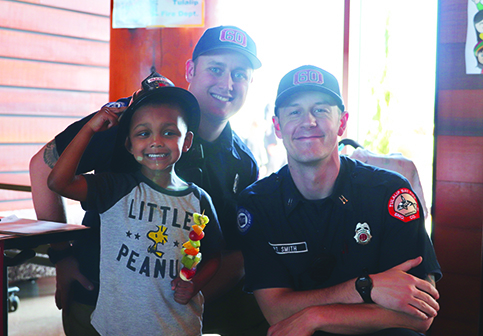 Local heroes from the Tulalip Police Department and the Tulalip Bay Fire Department were also in attendance. 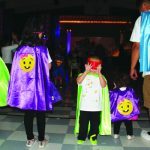 Students and parents, many of whom also dressed up, had a fantastic time dancing together during the hokey-pokey and the cha-cha slide. The Parent Committee also began raising funds for next year’s dance by holding a raffle with an array of prizes including a TV and a tablet. 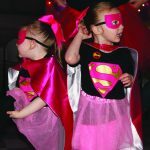 After a night of action-packed dancing, the young heroes hung up their capes until the next superhero dance, or at least until they’re called upon to save the entire universe. Autism is a common, yet very complex, developmental disability that has been on the rise in recent times. According to the Centers for Disease Control and Prevention, one in sixty-eight children in the United States have a form of autism. People with an autistic disorder often show significant language delays, repetitive behavior as well as social and communication challenges; and often times have experienced emotional and/or physical trauma. Children with autism are usually diagnosed by the age of four, as signs begin to show at a young age such as having obsessive interests, having trouble understanding others’ feelings and not responding by name. Reflective Network Therapy (RNT) is a method which helps children with autism, between the ages of two and seven, in a classroom setting. Developed by Dr. Gilbert Kliman in 1965, RNT has assisted over 1,800 developmentally and emotionally disabled children including many foster care children. “The method involves working with the child in a play therapy session, twenty minutes at a time, every school day,” explains Dr. Kliman. “Each child is worked with every day by a play therapist right in the classroom. Before that therapy session, the teacher briefs the child and the therapist about what the child’s been doing that day – in class and at home. Often the parent has dropped off the child and said ‘Johnny had a bad dream’, ‘Johnny said a whole lot of new words yesterday that we didn’t know he could say’, ‘he started to read’ or ‘he got into trouble’. The teacher uses a very small amount of time, just a minute or two, to condense that information for the therapist. After the twenty-minute play therapy session, the child and the therapist do the same thing in reverse – they debrief the teacher. ‘Johnny has been playing with dogs and cats. The cats had babies and Johnny seemed to be upset about the cats having babies’ and the teacher hears that. 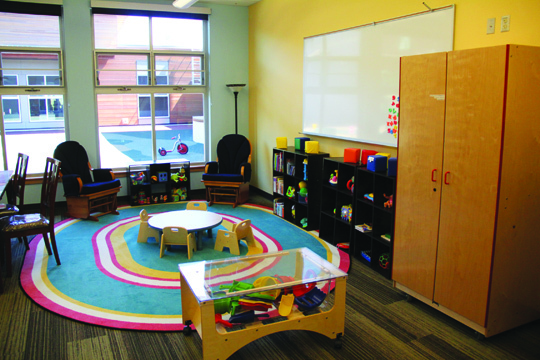 Often referring to RNT as ‘community based’, Dr. Kliman believes that it is important for the child to be in an environment where they feel safe and comfortable. For the past year, Dr. Kliman worked with the Betty J. Taylor Early Learning Academy to implement RNT for the children of the Academy who are either autistic, in beda?chelh, or experienced some form of trauma. Dr. Kliman believes that tribal communities who have their own early learning programs can benefit greatly from RNT. “The unique part about this method is that it’s evidenced-based and can be carried out in a child’s regular school,” he states. “It’s particularly valuable for Native American special needs children that they be treated in their tribe’s own school and learn their native languages rather than be bussed to a distant white school, which I think was a terrible mistake that happened a long time ago and still haunts Native American communities to this day – the boarding school experience. 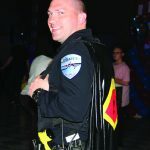 Native American special needs children go through an unfortunate repetition of that exclusionary experience and what I’m bringing for the past couple years is a message that we can include special needs children at the Betty J. Taylor Center just as it has been done in other preschools. 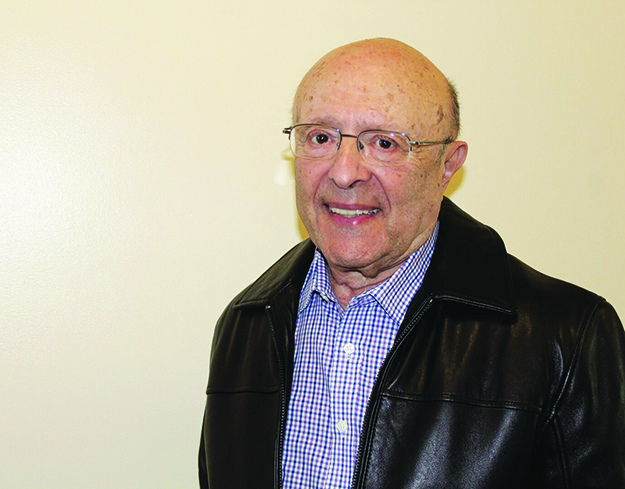 In 2011, Dr. Kliman published the book Reflective Network Therapy in the Preschool Classroom to share his method with the world and was met with rave reviews and several awards. The book featured testimonies from many of the children, now adults, affected by RNT. Although there are several different methods, theories and approaches to autism are that there is no cure for the disability as of yet. However, RNT appears to be the most effective treatment to date. In a twice-tested study, a group of seventy-nine autistic and special needs children showed significant improvements to their IQ scores while using Dr. Kliman’s RNT method, with an average increase of fifteen points. One child in particular went from an IQ score of fifty-two to a score of ninety-one during the course of one school year. “There are about eighty kids we’ve now tested twice for IQ,” he explains. “From nine different projects. From Michigan, Seattle, San Francisco, San Mateo, Argentina and White Plains, New York, we put them all together and the unusual thing about it is almost all the children had a rise of IQ – and they’re all special needs kids. Ordinarily when a kid is traumatized by watching a lot of domestic violence, they do lose some IQ points. This treatment goes the other way; they’re gaining IQ points. It’s not happening with the sixty-three comparison children; in fact, they have no change or slight drops of IQ. These are not significant drops but these are significant gains. We think this is a very sturdy bit of scientific evidence. More importantly, it’s not hard to do and this method seems to work in a lot of different settings. For further information regarding RNT please visit www.ChildrensPsychologicalHealthCenter.org or contact Kathryn McCormick, of the Betty J. Taylor Early Learning Academy, at (360) 716-4064. ELA students honor moms, with muffins! like a flower that is watered each day. I am big and strong. Students of the Betty J. Taylor Early Learning Academy (ELA) celebrated their moms, aunties and grandmas this year with a special afternoon to kick-off Mother’s Day Weekend. 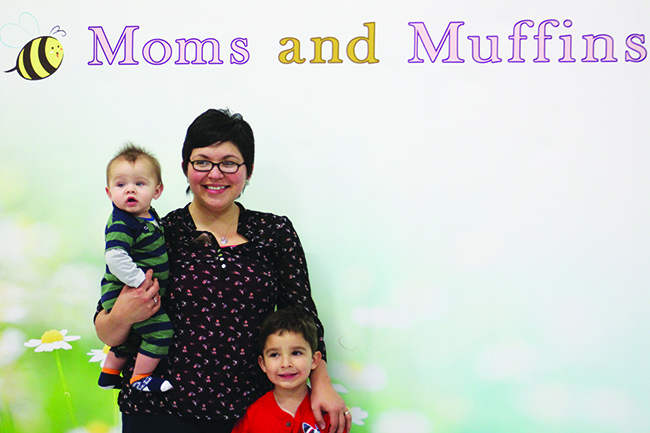 Moms and Muffins is an annual event that provides an opportunity for children of the academy to honor their mothers while enjoying delicious snacks. 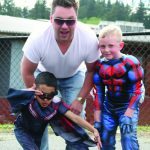 The May 11 event, held at the former Tulalip elementary gym, had a springtime theme. 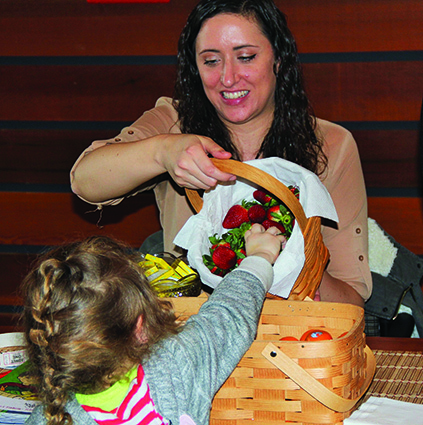 Mothers and students were treated to their choice of blueberry, double chocolate or red velvet muffins as well as a variety of fruit-infused waters. 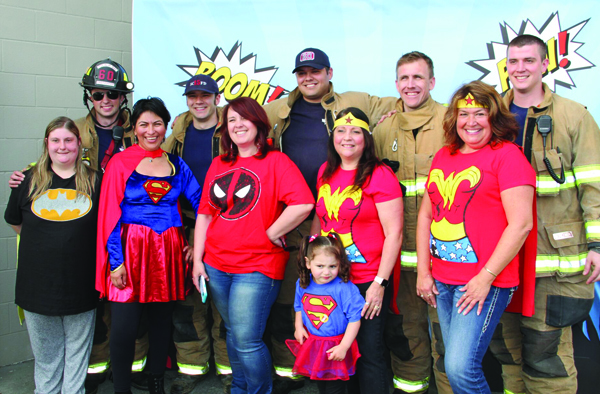 Numerous mothers were honored during the two-hour event. 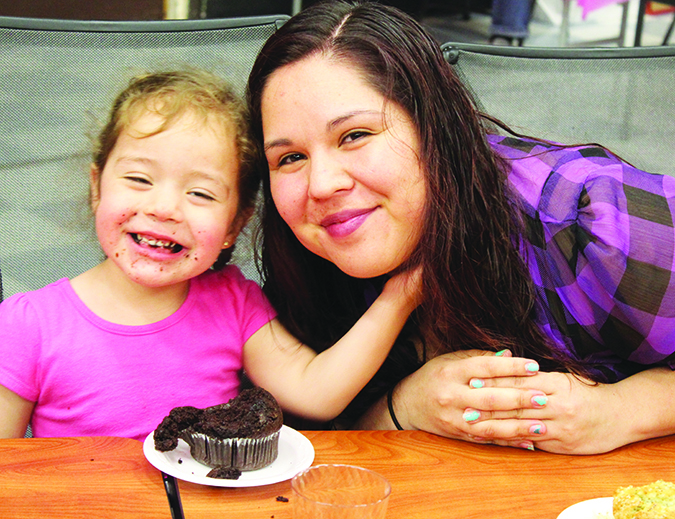 Laughter, accompanied by chocolate-filled smiles, were shared amongst students and mothers alike. 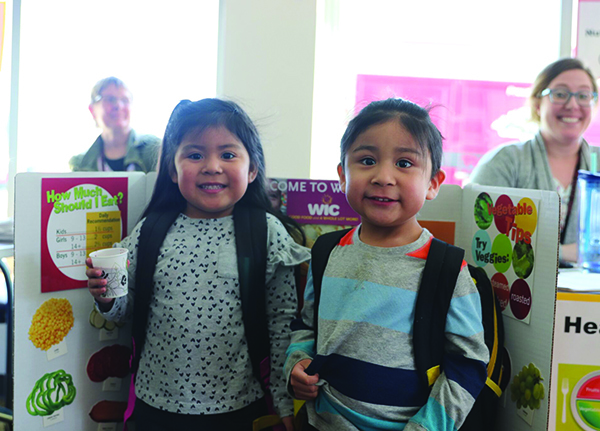 After enjoying baked goods with their mothers and the last muffin top crumb was consumed, the students visited the photo booth to capture a memory with their favorite ladies. 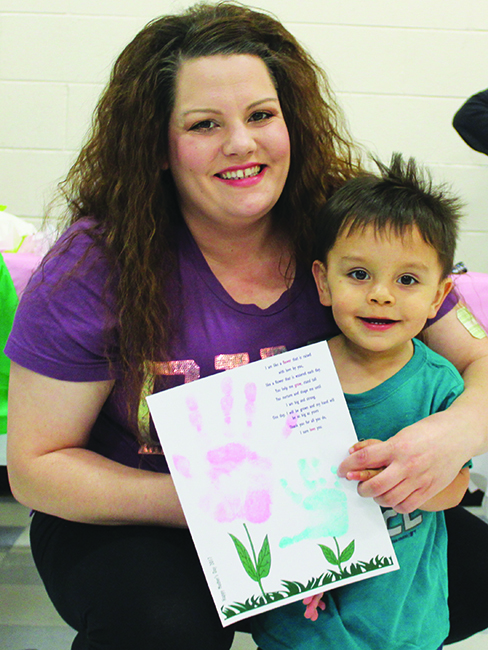 The event also included an arts and crafts project in which both mothers and kids participated. ELA provided a poem (see right) in which the growth of a flower is used as a metaphor to describe the bond between a mother and child. The poem also contained a photo of two flower stems, one large and one small, yet empty spaces stood on top of the flower stems. Mothers and students stamped their hands and these handprints served as the flowers from the poem. 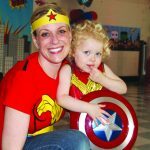 Moms and Muffins continues to provide a fun (and tasty) opportunity for kids to spend quality time with the most important and influential women of their young lives. Alley-Oop and his sunshine band of toddlers. 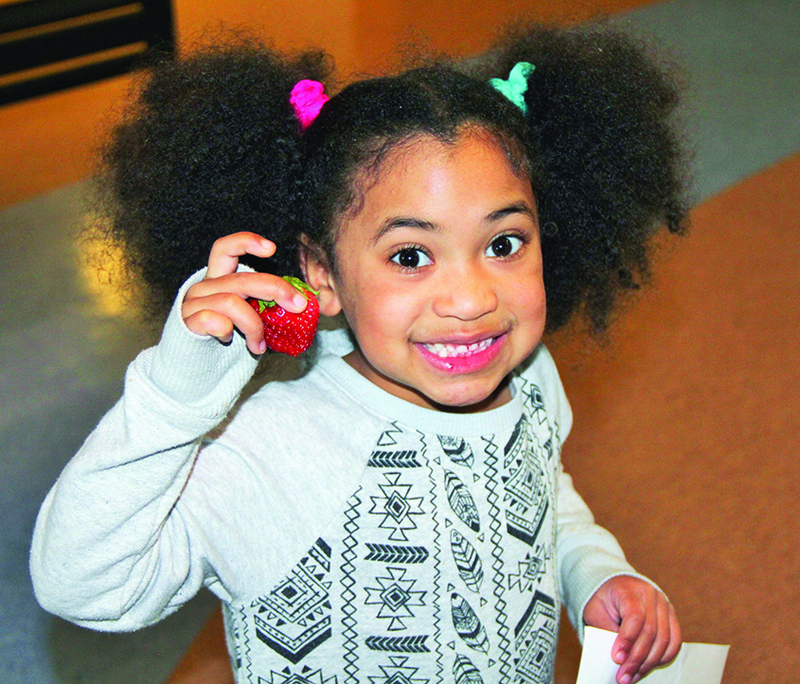 During the week of April 11-15, the Betty J. Taylor Early Learning Academy (TELA) celebrated the Week of the Young Child. The week was devoted to shining a light on the importance of early childhood development. Week of the Young Child is an annual celebration sponsored by the National Association for the Education of Young Children. 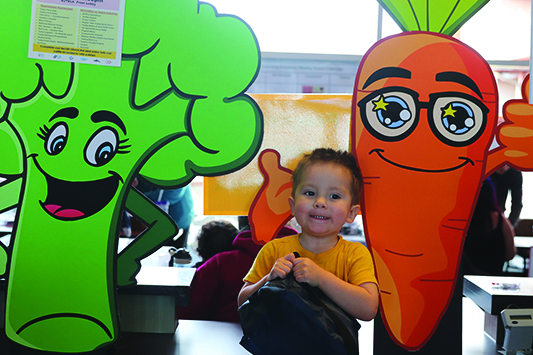 Intended to celebrate early learning, young children, their teachers and families, the weeklong event is the perfect opportunity for early childhood programs to hold activities that bring awareness to the needs of young children. 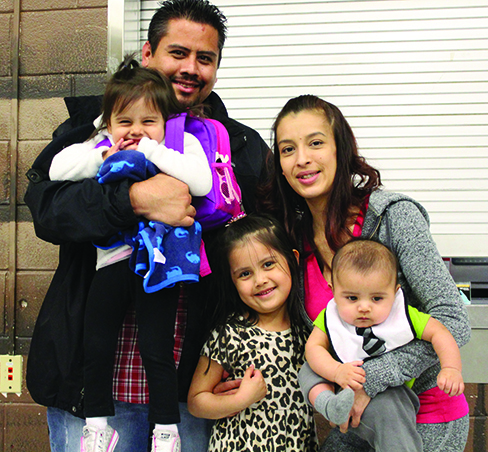 Young children and their families depend on high-quality education and care, which help children get a great start and bring lasting benefits to Tulalip. Week of the Young Child is a time to recognize the importance of early learning and early literacy, and to celebrate the teachers and policies that bring early childhood education to young children. 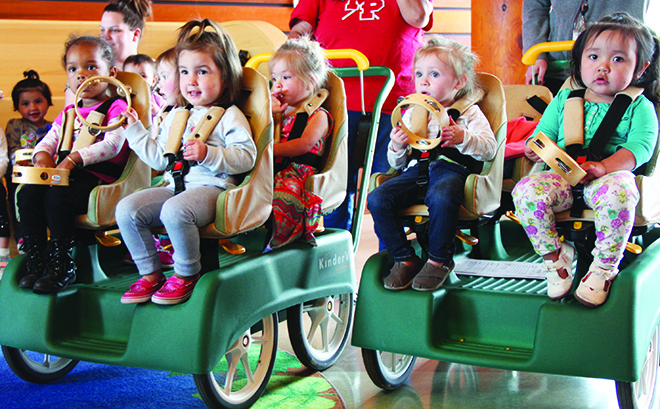 The week of fun and family friendly activities kicked off on Monday, April 11, with Music Monday. 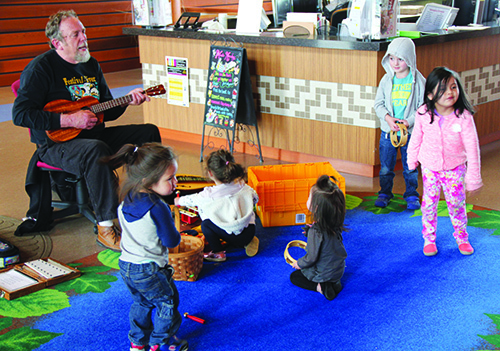 The reception area was transformed into a musical platform for Alley-Oop and his sunshine band of toddlers. Music Monday: sing, dance, celebrate and learn. Through music, children develop math, language, and literacy skills all while having fun and being active. 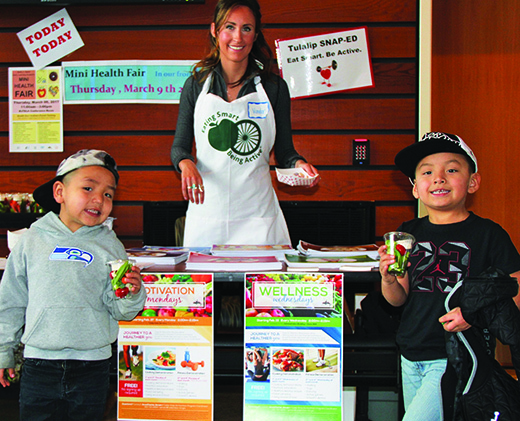 Taco Tuesday: healthy eating and fitness at school. This fun, food-themed day is about more than just cheese and salsa. Cooking together connects math with literacy skills, science, and more. With the rise of childhood obesity, you can encourage healthy nutrition and fitness habits in the classroom by creating your own healthy tacos. Work Together Wednesday: work together, build together, and learn together. When children build together they explore math and science concepts and develop their social and early literacy skills. Children can use any building material – from a fort of branches on the playground to a block city in the classroom. Artsy Thursday: think, problem solve, create. Children develop creativity, social skills and fine motor skills with open-ended art projects where they can make choices, use their imaginations, and create with their hands. On Artsy Thursday celebrate the joy and learning children experience when engaged in creative art making. Family Friday: sharing family stories. 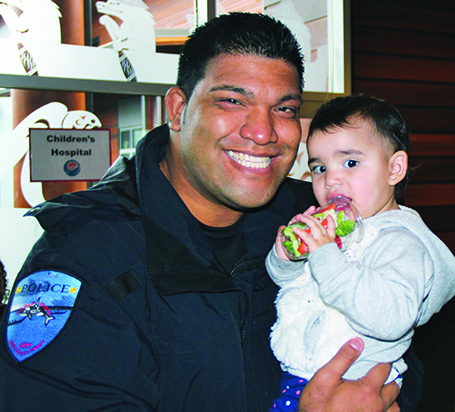 Engaging and celebrating families is at the heart of supporting our youngest learners. We applaud family members’ role as young children’s first and most important teachers. 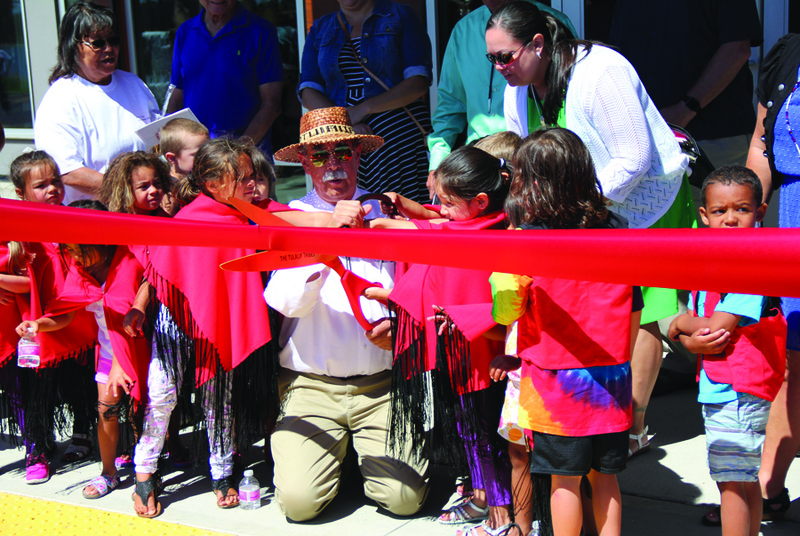 Tulalip Tribal Chairman Mel Sheldon, surrounded by ‘Children of the Salmon’, cuts the ribbon, officially marking the opening of the Betty J. Taylor Early Learning Academy. On Friday, August 7, the much anticipated grand opening was held for the Betty J. Taylor Early Learning Academy. 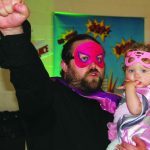 The event marked the culmination of over a decade’s worth of planning, devotion, and perseverance by countless individuals committed to helping local community families make a lasting, positive difference in their children’s education. 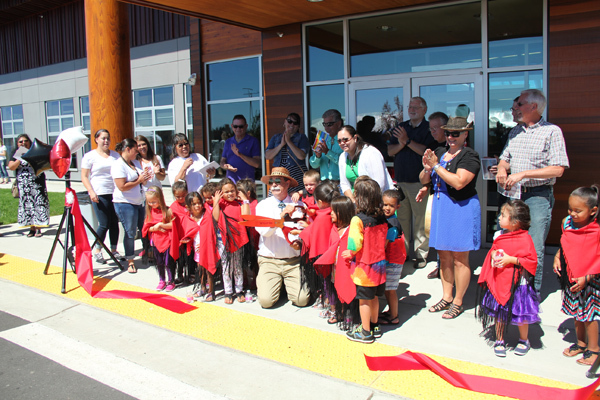 In partnership with parents and community, the caring and experienced Tulalip Tribes teaching staff created a loving and safe environment where children and families can grow in academically. The Betty J. Taylor Early Learning Academy (ELA) provides no cost educational schooling from 9:00 a.m. – 3:00 p.m. Monday through Thursday for children ages birth to 5 years-old. 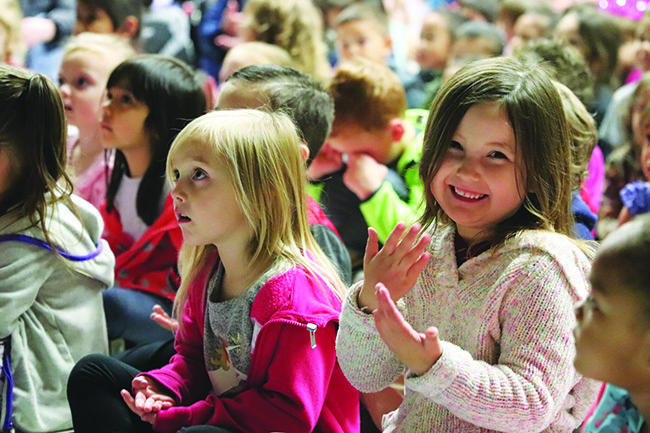 A large community attendance, along with representatives of Marysville School District and Washington, D.C. dignitaries, turned out to witness the debut of the gorgeous 52,000 square-foot Early Learning Academy. 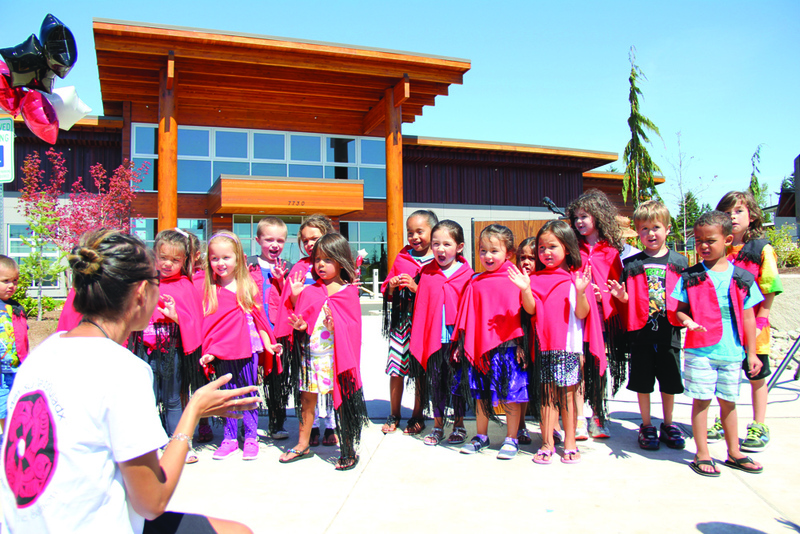 The facility, oriented towards views over Tulalip Bay and the surrounding woodlands, sits on nine acres of land and is designed to symbolize the tribe’s commitment to a healthy community and a strong foundation for our children’s education. 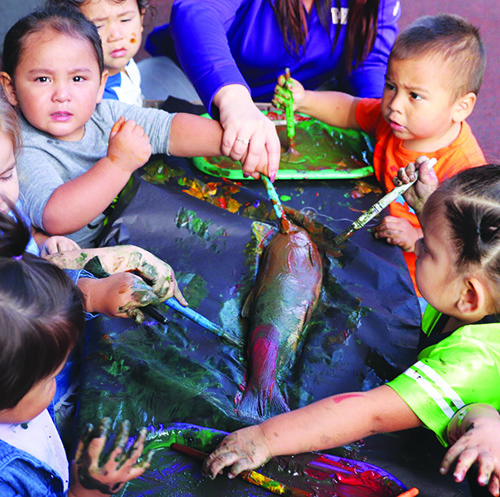 Tribal artists worked with the project team to incorporate artwork on the site and within public spaces of the building to reflect the cultural context being infused into our idea of early learning. Tulalip artwork is clearly visible in the stunning, etched-glass panels provided by James Madison, the blue glass wave directly above the reception area, and the river designed walkway throughout the academy. 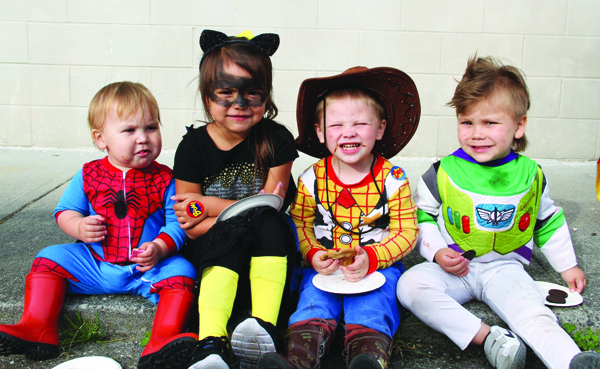 Spirited youngsters performed songs during the Early Learning Academy grand opening ceremony. Far too many children enter public school kindergarten unprepared for the drastic changes in routine and academic expectations. When children begin school unprepared it’s only a matter of time before they fall behind, and they tend to fall further behind as the school year progresses. All children need to enter school ready and able to succeed, which is why early education is so important. Cognitively, early education improves school performance, raises math and language abilities, and sharpens thinking and attention skills. Early learning also has plenty of social and emotional benefits as well. Children will improve and strengthen their interactions with peers, decrease problem behaviors, and helps adjustment to the demands of formal education. With the opening of the Early Learning Academy, we fully expect all the added benefits and rewards of early learning to materialize for our children. 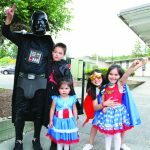 However, those aren’t the only benefits of the ELA, as many new and exciting changes will be instituted to the way Tulalip will approach educating our young children. One such change is the moniker of the students who will attend the ELA, who will be affectionately known as the ‘Children of the Salmon’. The foremost game changer is the consolidation of all birth to five-year-old programs into one program, under one roof. “We have brought all our birth to five programs out of their silos and brought them together into one, singular program with the same focus,” explains Sheryl Fryberg, ELA Manager. “We’ve redone all of our policies, procedures, and intake forms to reflect this. We are now the Betty J. Taylor Early Learning Academy. We’re not Montessori, we’re not ECEAP, and we’re not Early Head-Start; we are one. ELA will be using the Creative Curriculum, but utilizing different strategies. Teaching staff will utilize the Teaching Strategies assessment tools to show the progress that all of our children are making. This curriculum assures that the academy remains aligned with the school readiness early learning content standards, while doubling as a means to provide constant feedback on students’ progress. Another big change, that undoubtedly will take some time for parents and students to adjust to, is the switch to a year-around school system. There will be no 2.5 month long summer break for students of the Early Learning Academy, instead there will be four school closures throughout the year. A one-week break will occur in December, April and June, while a two-week break is expected in August. 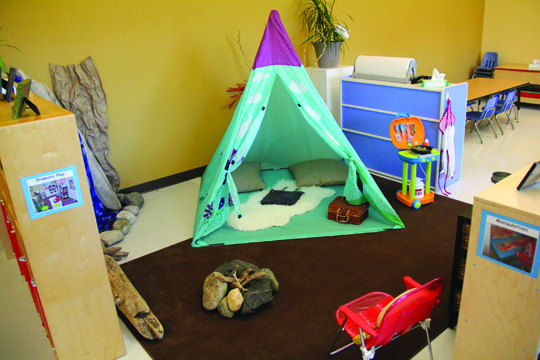 Interior views of ELA’s classrooms set-up for learning and imaginative play. The academic success of our children is at the forefront of every idea and strategy that will be implemented in the ELA’s curriculum. 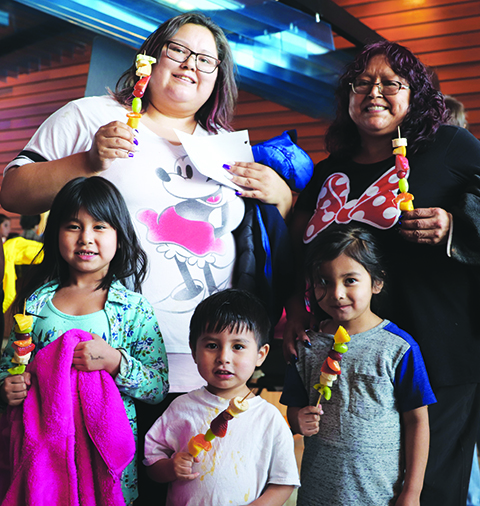 The cultural tie-ins will remain and even be pushed to new limits, especially when it comes to teaching and learning the Tulalip language, Lushootseed. 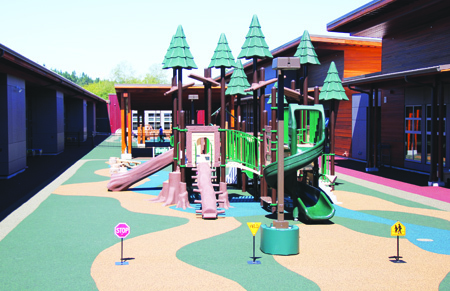 The ELA playground was built with safety in mind, featuring specialty mats to prevent injury and no public access. One vision leads to another. As the ELA opens its doors to the children of our community and promises long-term positive results, one can’t help wonder what the future holds for the cohorts of birth to 5 year-olds whose education and future academic prospects just got a whole lot brighter. Time will determine just how big an impact the ELA’s foundation will have on the tribe’s future, but for now let us just appreciate all the people and effort that made the ELA possible.